It's not an exaggeration to say that an era ended yesterday. 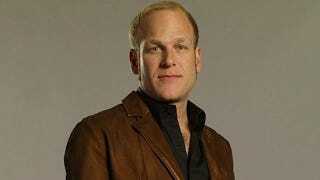 G4 aired its last episode of X-Play with popular commentator Adam Sessler as co-host on Wednesday, just hours after Kotaku reported that Adam Sessler would no longer be working at the network. While Sessler was best known for review and interview segments on X-Play, he also ranted on a regular basis in his infamous Sessler's Soapbox segments. The brash, opinionated personality logged more than 450 Soapbox rants, covering everything from wishes for next-gen consoles to the joys and failures of specific franchises. We've picked out a few of our favorites, where Sessler takes on anti-game lawyer Jack Thompson, clueless parents who aren't in touch with the games their kids play and the bigotry and bullying that too many gamers spew online. Hopefully, it won't be too long before we get to hear Sessler hold forth on the medium he clearly loves so much.